The domaine’s modern reputation is due to Mademoiselle Armande Douhairet, the doyenne of the village who took it over during WW2 and lived to the ripe old age of 98 (which she put down to her daily routine of a glass of Monthelie Blanc at lunchtime and bottle of Volnay 1er Cru ‘Champans’ with dinner). 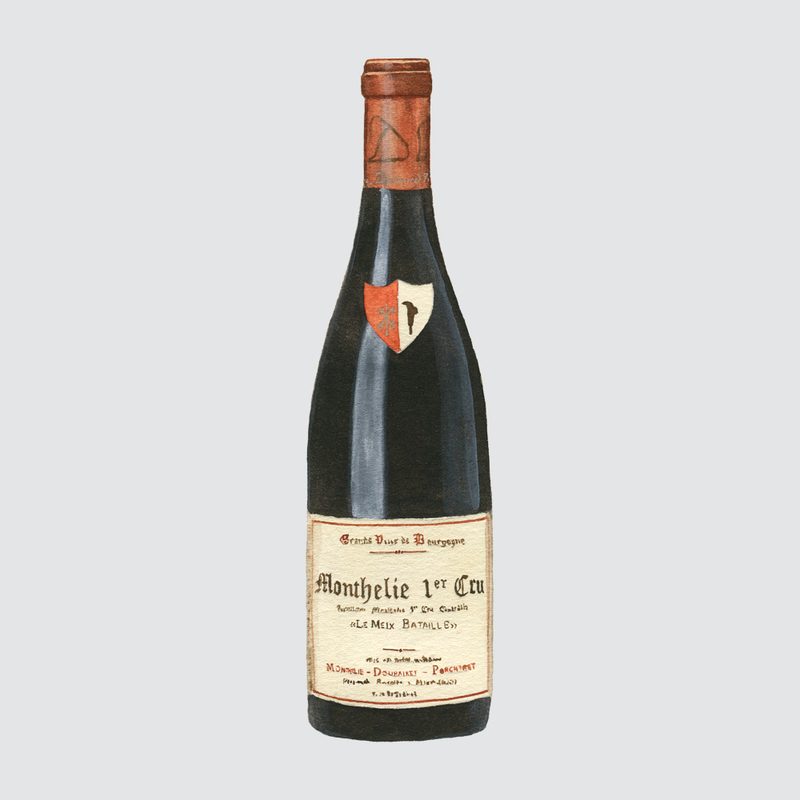 Despite her popularity, ‘Miss Armande’ was a childless spinster, so she adopted respected vigneron André Porcheret as consultant winemaker, who inherited the domaine when she died. From 1976-1988 Porcheret was Head Winemaker for the Hospices de Beaune, building such an enviable reputation that he was lured away by Lalou Bize-Leroy to help get the now legendary Domaine Leroy up and running. Porcheret worked with her converting the vineyards to biodynamic farming, returning to the Hospices in 1993 until 1999. During this time André continued advising Monthelie-Douhairet-Porcheret and, in 2004, he installed his granddaughter Cataldina to take over the domaine when ‘Miss Armande’ passed away. Today Cataldina works alongside her husband Vincent in the vineyards and winery. 100% destemmed before being aged for 18 months in barrel (10% new). All wines are bottled without fining or filtration and the results match old-school structure with plush fruit and wonderfully silky texture. When visiting the domain and tasting older vintages, this balance reveals itself in bottles that have developed into elegant, refined wines that consistently outperform their appellations.